To show off the Japanese bear cub Rilakkuma, Clotaire embroiders Rila’s eyes and nose on the top of the baby. 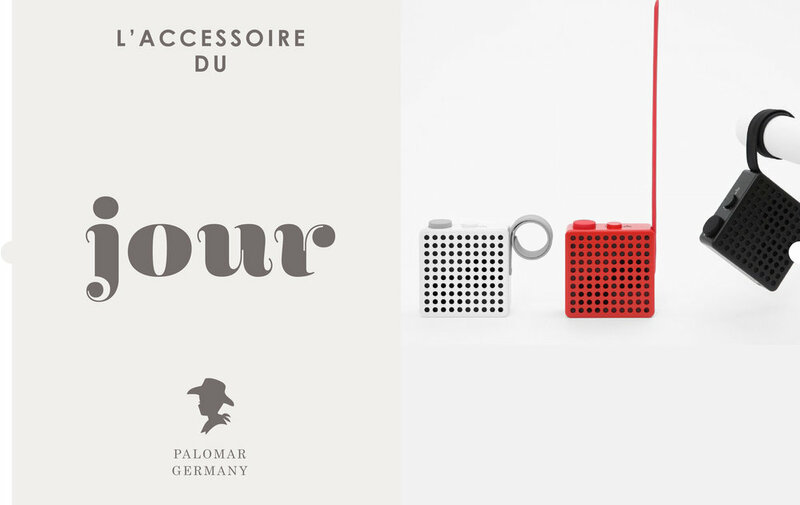 This discreet tiny face will delight the little Clotaire wearers. 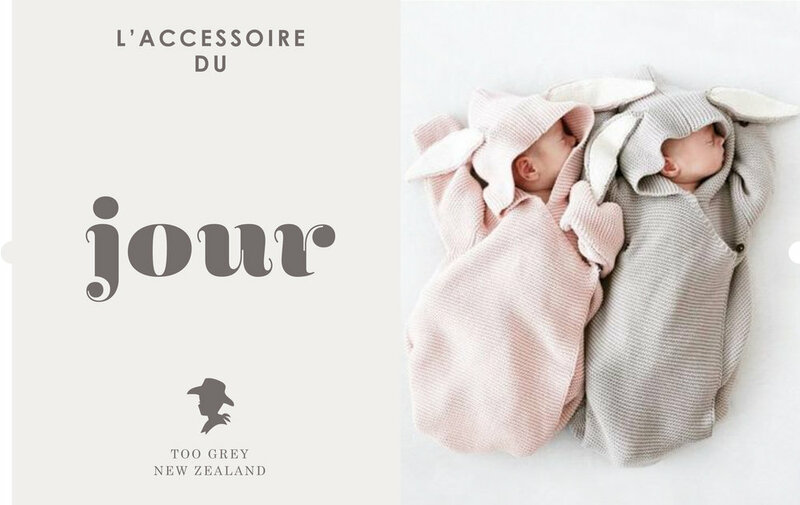 The baby line AGNAN is perfectly adapted to the baby's first steps by combining technical characteristics and beauty. AGNAN BABY is a buckle strap Mary Jane shoes, with an elastic in the upper for a perfect fit. This Mary Jane is made from leather, with a leather lining and a leather insole. Flexible elastomer outsole. The cutest sleeping bag, great for pram rides or snuggles with your little one! Not suitable for unsupervised sleeping. Or babies who can roll over. Your kid loves rainbows, unicorns, magic landscapes and smile all the time? This mask is the one ! 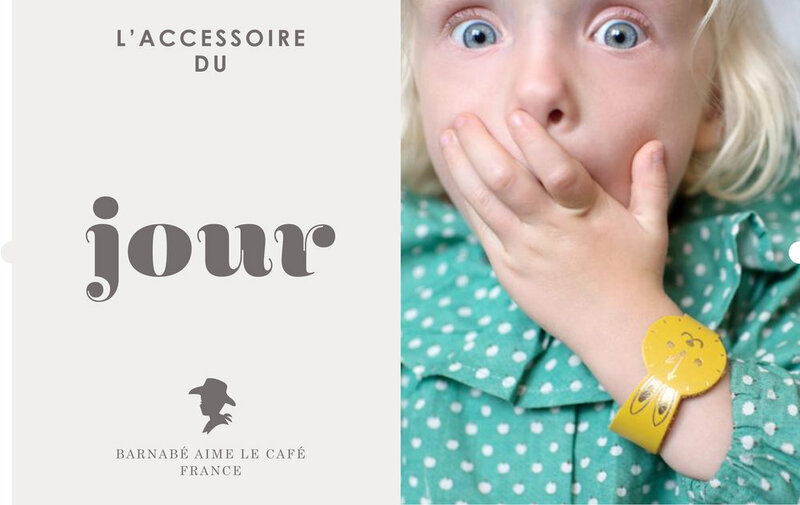 With this imaginary creature inspired by the owl let your kid express all his/her joie de vivre ! You can add the other 6 colors from the rainbow purchasing the Rainbow pack here ! original artwork using indian ink. Printed on a thick hight quality recycled paper. Ties are made from a beautiful raw organic coton, in a natural color and graphite color printed. We offer a beautiful packaging, like a LP’s sleeve, personalized with the children’s first name on it, with an amazing artwork poped out of the imaginary world of Ninn Apouladaki. If you choose this option, we’ll get in touch with you after your order. Printed on a very thick premium paper, from sustainable sources. We do care about the planet ! logo_fon_squareFor each item we sell, we give 1€ to FON, who assist in the conservation and protection of threatened and endangered species, as well as habitat conservation. 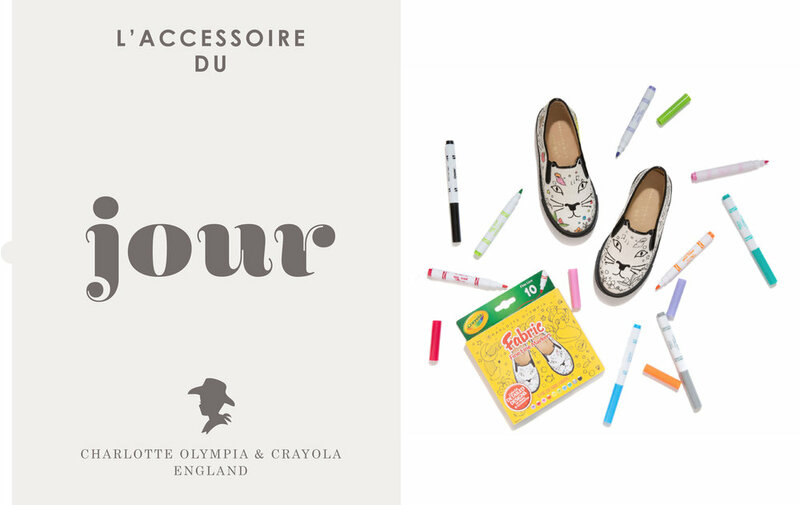 Get excited for back-to-school with Charlotte Olympia Incy Cool Cats were created to be filled in with the Crayola set of four markers that come enclosed in a specially designed colour-in shoe box. Finished with black patent piping and a sleek rubber sole, this unisex pair is a look that your little one will be proud to wear. Slip-on sneaker with rubber sole, leather piping and 'Kitty' face embroidery. Off white 'Colour-me-in' printed canvas. Dust bags included. Made in Italy. 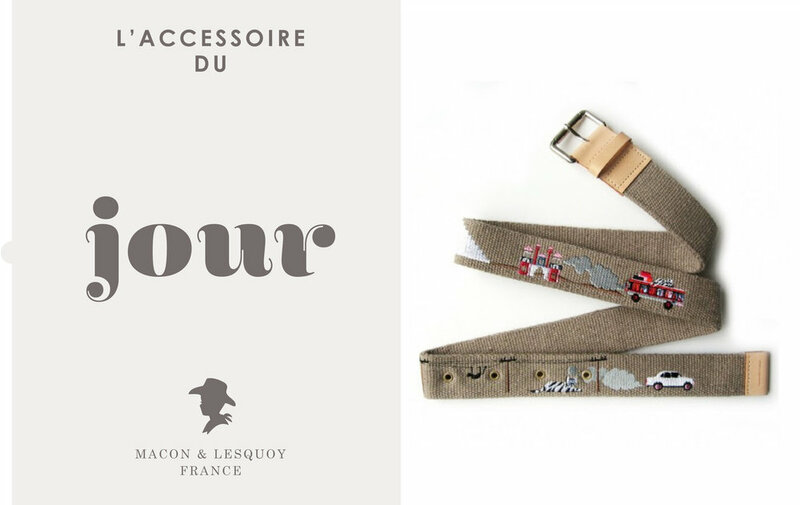 Belt made in France and machine-embroidered in Portugal. cotton belt, machine-embroidered and a metal & leather buckle. To the lovers of pretty items, and nostalgic of Lewis Carroll from his pretty Alice, this is our watch Rabbit. In leather with a golden hot-marking , this is the first "real-fake" watch, so cute beacause of this lovely rabbit 's little face smiling to your kids! Suitable from the age of 3 according to the size. Tiny size. Big personality. PUMA and tinycottons pair to bring only the softest and cutest pair of classic sneakers out there for your little one. Tons of polka dots and plenty of fun to be had. What makes Aqua Sphere the industry-leader in comfort, quality and technological advancements? Lava Magazine profiled the company to learn more about the history of the company and what it takes to produce the most advanced, comfortable eyewear in the industry. Giving gifts is a little easier (and a little less expensive) with these pouches that provide 30 school meals when purchased. 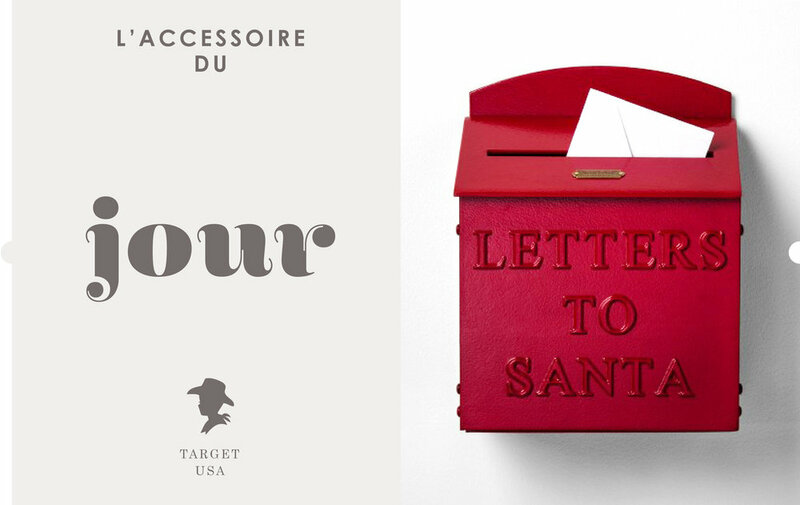 Perfect for gifting to three of your best gal pals...or one for you and two for them. This Girls' Circus Tent Satchel Bag by Genuine Kids from Oshkosh in Multicolor is the cutest little purse for your fun-loving gal. With a full zip and a super cute big top tent exterior, this purse is a must. When they want to be just like mom or dad, you can let them tote around their favorite bestie in their own Keith Haring Pop Ergobaby Doll Carrier. Our Best-Seller that makes the happiness of the little girls! Pre-school bag, for the snack, the doudou, or simply to fly to a world of the marvels. Decorated with glossy leatherette butterfly wings, handle and removable shoulder straps to be worn by hand or back. Waterproof canvas interior, snap closure system. The story of Borboleta is a lifelong story about friendship, love, and happiness. Followed by headline brand quote „Happy Girls are The Prettiest“, we learned to measure our success by the size of the smile of our Borboleta friends. Each Borboleta collection tells a story of its own while all stories are created to inspire and encourage the 'spirit' of every individual who wears it. Through the transformation of its gold-plated lucky charms, Borboleta jewelry is accompanied with a quote tag from movies, music, art, and literature - quotes that touched and marked our lives. Borboleta is a brand made with love and based on an idea of making each day special by doing little things that make us and our loved ones smile. The Moses brand was created to add coolness and comfort to your everyday life. We’re here to turn the sunny summer season into a 365 day a year experience! Sarah Gurt, originally from Paris, France is a designer and entrepreneur with expansive experience in fashion. She acquired her professional education as a shoe designer in 1999, at Central St. Martins and at Cordwainers College and has since filled a series of positions as a shoe designer for high-end companies in Europe and the US such as Thierry Mugler, Calvin Klein & Oscar de la Renta. Additionallly, Sarah has extensive experience in the fast fashion arena working at the eponymous US brands Chinese Laundry, Kenneth Cole… After what (sometimes) felt like 40 years in the intense fashion scene, Sarah decided it was time to come back to her adopted home of Israel and start a brand that relates to her local lifestyle & that could resonate with people around the world. A brand that embodied the aesthetics and vibes of her city, Tel Aviv. Coolness, Comfort, Color & Spontaneity. The name Moses, struck Sarah like a bolt of lightning when, after 14 years of ‘wandering’ in London and the USA she finally made it home to Tel Aviv. Unlike Moses, who never actually made it to the Holy Land… the name stuck & remained an inspiration for the Israeli born brand.